Runners are a bit like golfers. They’re obsessive about statistics, and bore people they meet by talking about those statistics, their kit, their injuries, and the competitions they’ve done or will be doing. The good news is that runners generally have less of a paunch than golfers and a similarly smaller sense of entitlement and superiority. …against all expectations, at my second attempt, I gained entry to the 2019 London Marathon through the ballot. Of course, it’s fantastic news. The London Marathon is iconic – a magnificent venue to run my first marathon. And therein lies the challenge. I’ve now got to run that marathon. I first applied for the London Marathon ballot last year. I was to have my 65th birthday in 2018, and had been trying to make sense of being retired, after the disorientation of being made redundant a year earlier. What better way to celebrate and take on a new challenge than by doing the London Marathon? Like so many good ideas, it didn’t quite work out as planned since I wasn’t successful in the ballot. 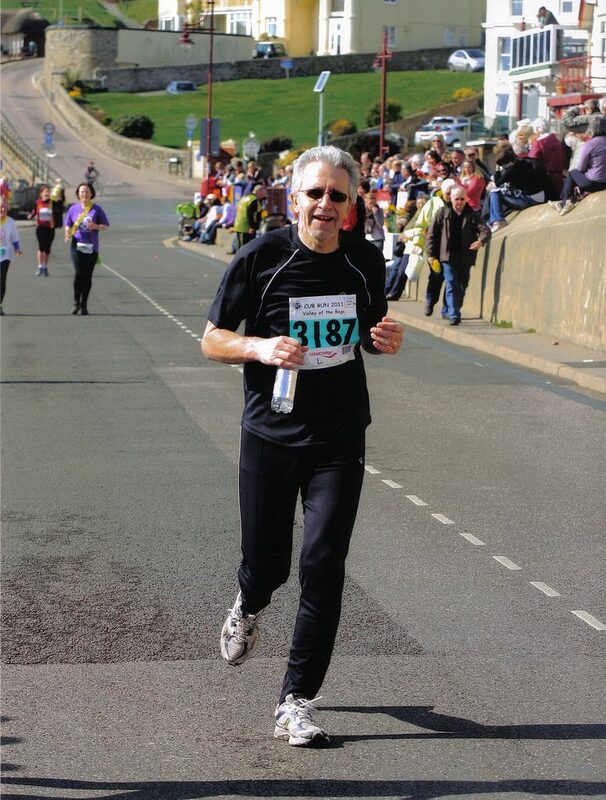 Instead of London I ran half marathons in Cambridge and Colchester, where I achieved a personal best time. Without a job I was able to spend more time on training, but since I’d already completed a few half marathons these events didn’t have the fear factor of the full distance. So, when I got an email inviting me to apply to run at London in 2019, it had to be done. “What are the chances?”, I thought as I filled in my application. Knowing you’ve got a full marathon in a few months certainly focuses the mind. I know I can run a half marathon, but I’ve always been pretty tired at the end. Right now, doing the other half to make it a whole marathon seems daunting. It will certainly require a proper training programme over a few months – especially at my age. My training has become a proxy for a job, but healthier and less frustrating. I’m running 5 days a week, including one long run each week. The distance of long runs increases through the training programme – with 4 months to go it’s currently about 15 miles. I’m taking pacing more seriously. I’ve already learnt on half marathons that it’s all too easy to get excited and start too fast, only to pay for it after 8 or 10 miles. This is even more important for a full marathon. I should be aiming to run at a consistent pace for the whole distance. At the start, that pace will seem ridiculously slow, as I’m discovering in training, but the pace will be much harder if not impossible at the end. I’m learning that running a marathon is as much a mental challenge as a physical one. The mind games are fascinating and baffling and this takes us back to the “I am a marathon runner” mantra. I have to believe that if I am able to follow my training programme, I will be prepared for that run. It’s important now during my training, to keep me motivated and not too terrified through the winter months, and people tell me that self-belief will be crucial for the run itself when I reach those stages where I might feel I can’t go on. I’ve met many lovely friends through running, particularly at parkrun, but I must especially mention Cherie and Mark, whose endurance achievements are inspirational, even if they are partly to blame for what I’m doing! I cannot overstate the value of their friendship, support and advice. 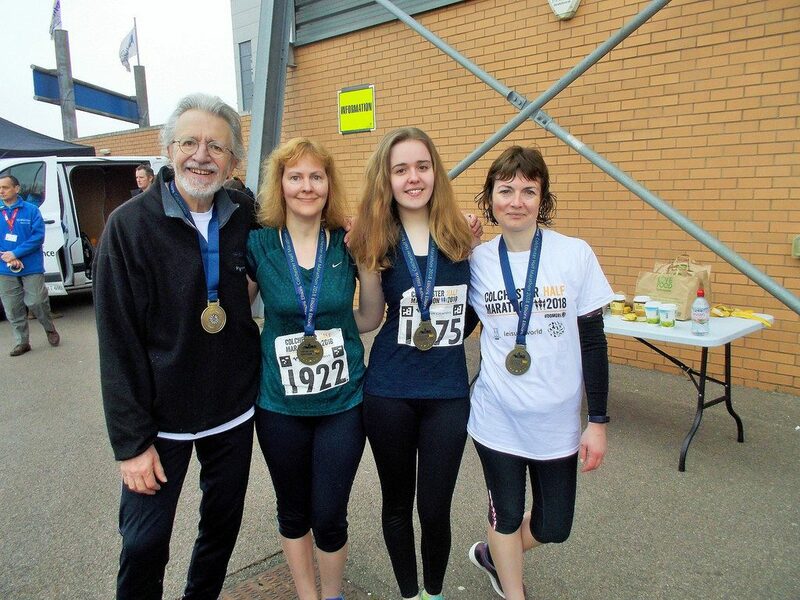 And of course I couldn’t do this without the patience of my wife – it takes a lot of my time to run, soak in the bath to recover, and of course she bears the brunt of my talk about statistics and aches and pains, not to mention the piles of damp smelly running kit.